Phil love is a family owned and operated business since 2009. We are young contemporary clothing manufacturer and wholesaler based in the heart of Los Angeles. We love nature and ideas derived from that nature we have developed unique prints that are soft and comfortable with high quality fabrics. 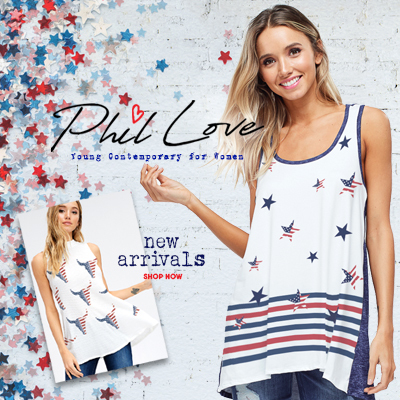 Explore Phil Love's collection of fun and casual tops & dresses perfect for every day wear.